There are occasions that windshield repairs will not be enough to do the job, and the only option left for you is to get cheap windshield replacement. 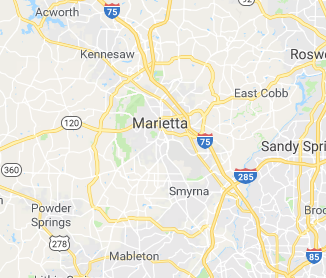 The best thing about choosing Marietta Autoglass when receiving these kinds of services, is that we’ve been delivering outstanding results to customers around the Marietta area for several years now. We have all the right stuff in the right places, available to help you with your auto glass repair wherever and whenever you may need it. Our experience and expertise in the industry is unmatched, and the speed at which we work in fixing your vehicle is exemplary as well! We aim to supply OEM replacement parts at standards that the manufacturers set, all while keeping the cost down for your benefit. We’ve got plenty of connections, and you can be sure that no matter the brand or model of your vehicle nor the size or shape requirements for the auto glass on your car is, our partner manufacturers has got the perfect replacement parts in stock. Marietta Autoglass is a champion when it comes to OEM parts, and our customers can speak for us as they have become the recipient of them. Quality OEM replacement parts are made fresh from the manufacturer, so you’re going to get brand new parts every time. You can rely on Marietta Autoglass for all your auto glass replacement needs. We have been a convenient source for all types of auto glass services in the Marietta area for years, and we basically can repair or replace any auto glass part on your vehicle. Auto glass replacement parts range from front and back windshields, door glass, and more. We have the widest selection of replacement materials that you need in order to be able to drive safely on the road again. With crystal clear auto glass replacement parts, you will have 360 degrees of unobstructed view of your surroundings, all while driving comfortably and confidently in your car! When you need auto glass repairs or replacements that are serviced by seasoned professionals, Marietta Autoglass is who you should call. Quality is our name and dependability is our game. We maintain the high quality of our service through our professional technician’s speedy and dependable work. Whether your car is repaired within our service shop or at a location of your choosing, we ensure that our staff understands that they’re on the clock. Having been around the Marietta area for well over a decade, we have helped thousands of customers year after year. We have made a name for ourselves in this city and if you’re in doubt, just call up some of your friends to ask them how their vehicles are holding up after having us perform repairs. Our wide selection of services ensures that you will get an auto glass repair and replacement service that’s time tested and dependable.